Brig. 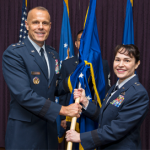 Gen. Alice Trevino, the principal military assistant to the deputy secretary of the Defense Department, assumed command of the U.S. Air Force Installation Contracting Agency at the Wright-Patterson Air Force Base on May 23. Maj. Gen. Bradley Spacy, Air Force Installation and Mission Support Center commander, presided over the change of command ceremony to officially appoint Trevino and replace Brig. Gen Cameron Holt, who was named deputy assistant secretary for acquisition of the U.S. Air Force, the service branch said Friday. 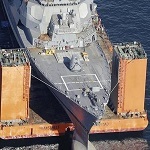 Trevino was also designated as head of the Joint Theater Support Contracting Command at the time of activation. Her experience in command roles includes the Defense Contract Management Agency-Western Region, contracting squadrons of base and specialized major command levels and group and wing level join units. She served as contracting deputy director for the Air Force Life Cycle Management Center in her first tour at Wright-Patterson AFB. Her military career includes service for major defense acquisition programs as a warranted procuring contracting officer and the U.S. Transportation Command as a joint qualified officer. She supported operations for combat, humanitarian aid and peacekeeping/enforcement on her deployments to Croatia, Turkey, Oman, Kuwait and to Afghanistan, where she also served as a senior contracting official. In her new role, Trevino will manage the $9.1 billion annual obligations and direct the strategic sourcing efforts for the mission and enterprise-wide installation of the service branch.